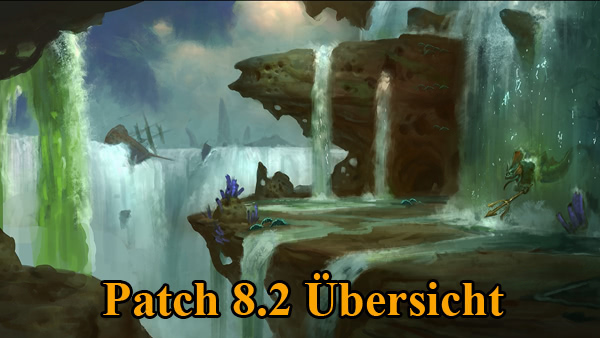 Zu den Highlights vom aktuellen Hotfix gehören Anpassungen der Klassenschmuckstücke und den Tier 18 Sets aus dem LFR-Schwierigkeitsgrad. Abgesehen davon wurden auch Anpassungen bei einigen Klassen sowie bei den Boss-Kämpfen in der Höllenfeuerzitadelle vorgenommen. Zu guter Letzt gibt es noch zahlreiche Fehlerbehebungen im Tanaandschungel. Please note that the following changes to class trinkets are currently still in testing. Toxingefäß des Blutenden Auges had its effect increased by 28% for Combat Rogues, and had its effect increased by 40% for Subtlety Rogues. Kern der Urelemente now deals 40% more damage for Enhancement Shaman. Leeres Trinkhorn Fel Burn effect can now stack up to 30 times, down from 50. Fragment des dunklen Sterns had its effect increased by 20% for Affliction Warlocks. Des Todes Ernte had its chance to trigger reduced by 6% for Unholy Death Knights. Kriegserklärung an den Krieg had its effect increased by 30% for Shadow Priests. Seelenkondensator's Spirit Eruption effect should now properly only hit intended targets within its area of effect. 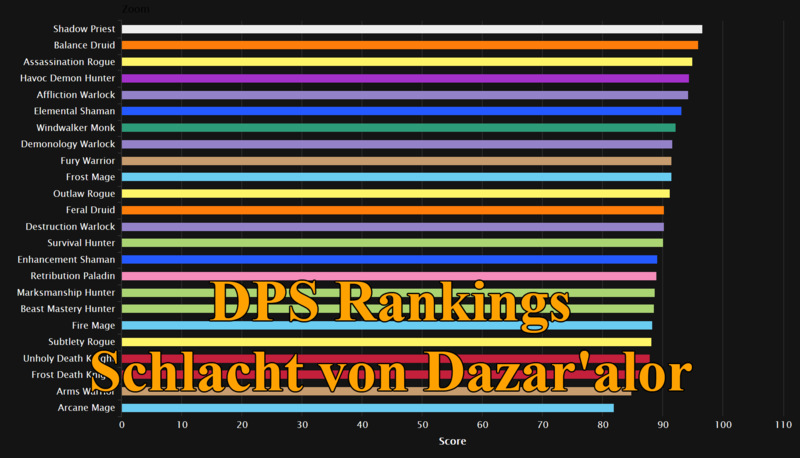 Talisman des meisterhaften Fährtenlesers had the chance to trigger reduced by 6% for Survival Hunters. Foliant der wandernden Worte had its effect reduced in power by 33% for Frost Mages, and had its chance to trigger reduced by 6% for Fire Mages. The following changes have been made to set armor pieces found on Raid Finder difficulty. 4-piece set bonus for Healers now has an 8-second internal cooldown (up from 3 seconds). 4-piece set bonus for Damage Dealing Spellcasters no longer triggers twice on crits. 4-piece set bonus for Tanks now has an increased proc rate of approximately [1.7, increased by Haste] per minute (up from [0.85, increased by Haste]). 4-piece set bonus for Damage Dealing Spellcasters had its damage dealt reduced by 75% and has an 8-second internal cooldown (up from 3 seconds). 4-piece set bonus for Healers now heals each successive target in the chain for 50% less than the previous target, and reduced the number of targets in the chain to 3 (down from 4). 4-piece set bonus for Damage Dealers now has a 3-second internal cooldown. 4-piece set bonus for Healers now has a 3-second internal cooldown. 4-piece set bonus for Tanks now has a 2-second internal cooldown. The change should have a negligible impact on throughput. 4-piece set bonus for Damage Dealing Spellcasters now has a 3-second internal cooldown. 4-piece set bonus for Tanks now has an increased proc rate of approximately [3.67, increased by Haste] per minute (up from [1.7, increased by Haste]). Obliterate should now correctly deal full damage against other players in PvP combat. [Hotfix in testing] Tier-18 4-piece set bonus for Survival Hunters should now correctly trigger Shadow Nova on all targets affected by Black Arrow, not just on the primary target. Additionally, Shadow Nova should be be correctly benefitting from the Tier-18 2-piece set bonus, Black Decay. [Requires a realm restart] Fixed several issues that made Roll and Chi Torpedo work inconsistently. The abilities should now always travel a consistent distance, be unaffected by snare effects, and reach the destination faster with increased stacking movement speed. Fixed an issue where Surging Mist had no resource cost while Timewalking. Killing Spree should now correctly only provide immunity to roots, snares, and knockback effects. Tier-18 2-piece set bonus for Subtlety Rogues should now work correctly with Anticipation. Glyph of Ghostly Speed should no longer incorrectly trigger its movement speed increase while in combat. Tier-18 2-piece set bonus for Protection Warriors should now work correctly if the Warrior knows Gladiator's Resolve. Savage Whale Shark should now drop Equipment Blueprint: Trained Shark Tank for all players that have attacked it. Fixed an issue where Sargerei Nullifier could immediately despawn after being defeated. Fixed an issue where players may occasionally defeat a version of The Night Haunter that does not have loot. Kor'lok should no longer knock players out of Ashran with his ability, MASSIVE Kick! Fixed an issue affecting quests that required the player to target something with a quest item or ability not correctly providing credit towards completing the quest. Fixed an issue where Demonslayer of Tanaan, The Battle for the West, and Unseen Influence was not displaying correctly on the map. Group leaders are now able to re-queue if someone leaves a Timewalking dungeon group. Blademaster Jubei'thos should no longer incorrectly reset the number of battle resurrections available to the raid group when he uses his Windwalk ability. Fixed an issue that could cause the Iron Reaver to animate incorrectly and face the wrong way when using the Blitz ability. Fixed an issue where Iron Reaver's Blitz ability could cause players to be stuck when attempting to use a flight path after the encounter. Gorebound Spirits should no longer summon players out of the world and teleport to them instead. Players in the stomach phase in the Gorefiend encounter should now always be able to see the circle denoting where the exit is. Sargerei Shadowcaller's Shadow Word: Agony can no longer be copied by Dark Simulacrum. Wake of Destruction should no longer incorrectly deal more damage than intended if multiple players are standing on top of each other when it explodes. Fixed an issue where Mannoroth can go into evade mode if his primary target is knocked into a Fel Spire. [Hotfix in testing] Archimonde will now heal for 5% of his maximum health if Nether Banish hits less than 3 players. Archimonde's Nether Banish should now be able to target players under the effects of Wrought Chaos, Focused Chaos, or Shackled Torment in Phase 3. Archimonde no longer casts Demonic feedback before Nether Banished had faded in Phase 3. Shadowed Netherwalkers should now attack players when they enter the Twisting Nether, regardless of where they are on the platform. Fixed an issue where players may incorrectly receive a Silver Strongbox for the previous Warlords PvP Season. Slightly increased the delay between events. Champion's Honor can no longer be used before the start of the relevant Warlords PvP Season. Defending Champion should now be correctly increasing maximum health by 10% instead of only by 10 health. Figurine of the Colossus should now be correctly flagged for Timewalking. Gemcutter Module: Critical Strike can now drop for multiple Jewelcrafters at the same time upon defeating Shadow-Lord Iskar in Hellfire Citadel. Wild Gladiator's Greatcloak and Wild Gladiator's Tabard should no longer be available for sale. Vial of Red Goo should now correctly prevent players from performing actions while they're transformed. Players on a mount using the flight master at Vol'mar or Lion's Watch to fly to the Throne of Kil'jaeden should now be correctly dismounted. Fixed an issue where Rogue Tier-18 Normal armor set was incorrectly using the appearance of the Mythic armor set. Fixed an issue where Draenor Siege Engines and Demolishers did not have a cooldown on their first ability. Fixed an issue where player combat pets were not being automatically resummoned after leaving a vehicle. Fixed an issue where abilities that trigger when a target leaves an area like Binding Shot or Ursol’s Vortex were incorrectly still triggering its effects after the ability has expired. Fixed an issue where players were able to retain the Well-Rested buff from Leatherworking Tents while in a Raid instance.